Works just like it should. I just wish it came with 2 rubber washers instead of just 1. Well made. 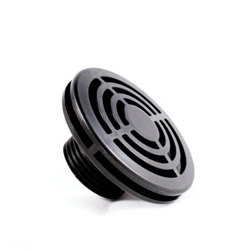 Perfect for draining any automatic irrigation systems, hydroponic or soil based (add a little filter mesh over the opening for soil). The threaded exterior allows a hose barb to be inserted and the use of inexpensive Big Box store type planters mounted on the wall and drained neatly. Run several planters in series connected with laundry drain hose. 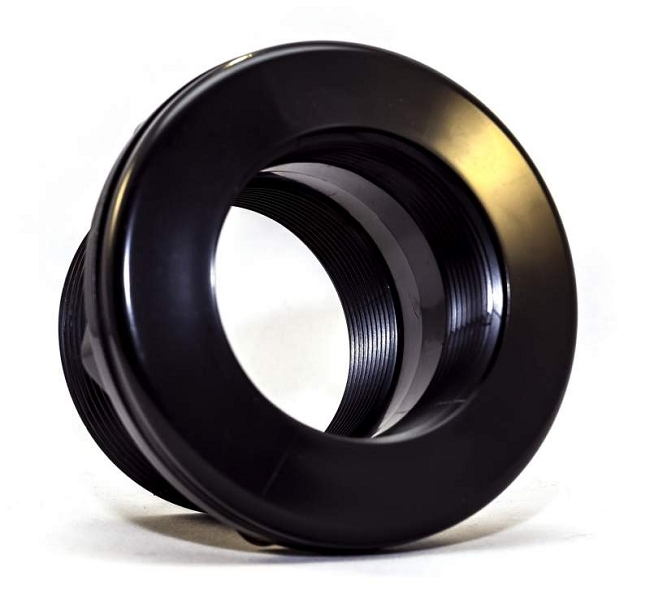 Very good quality and threaded both sides makes it very adaptable. Black color is a huge plus. i use them to drain decorative plant wall irrigation systems in restaurants and the white pic typical bulkhead fittings stood out like a gold tooth. These are very well made and reasonably priced. The service is personal, informed and fast. I have done business with them numerous times and will continue to do so. Thanks! 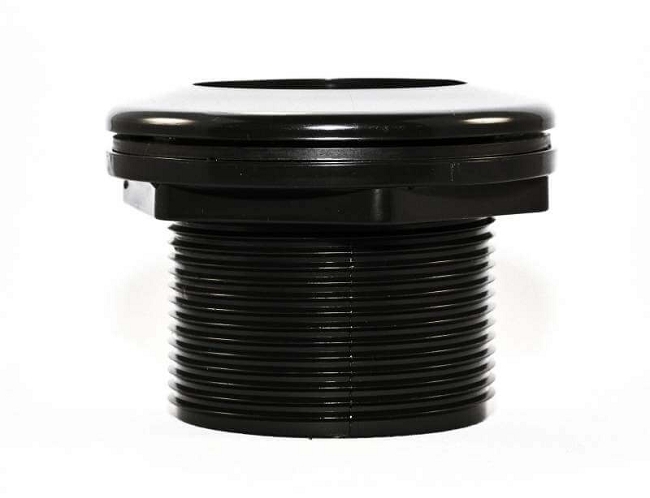 I recently purchase 15 3/4 thread X thread bulkheads for making a rain collection system with blue barrels connected with PVC pipe. All bulkheads have been installed in 15 blue barrels and system is up and running. So far so good. I would recommend for use in rain barrel collection system. I install at base of the barrels and interconnect with 3/4in PVC pipe and fittings. I use these bulkhead fittings on my rain barrels, attaching the spigot or hose bibb with the internal threading. These are high quality, and a fraction of the cost of the same bulkhead fittings you would find in Home Depot or Lowe''''''''s. Not sure why that;s the case, but it is. These worked perfectly for my rain barrels, and I actually recommend these to anyone interested in getting their own rain barrels started.